The name of Victorian whisky maker Henry Albert Higginbottom has been revived in a new range of single cask releases launched by his great-great-grandson. The four whiskies – two Scotch single malts, one Scotch single grain and one Bourbon – have been released under brand name ‘The Higginbottom’ by The HAH Whisky Company. The name recalls whisky maker Henry Albert Higginbottom (HAH), who had a 50-year career from 1878 and supplied whisky, including his Club Blend, to British troops during the Boer War and the First World War. 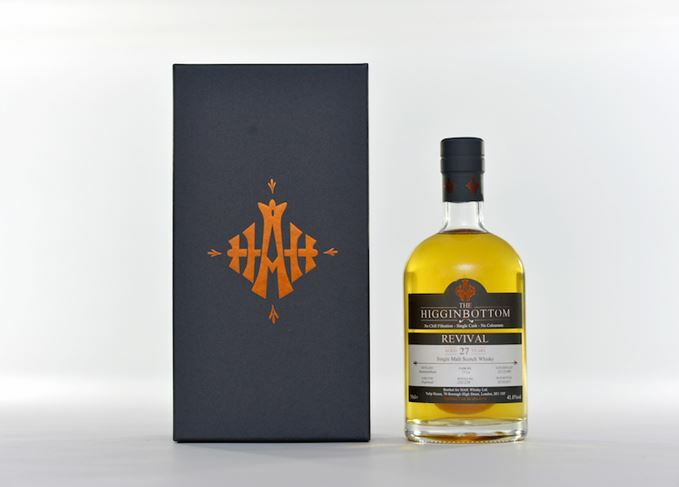 The revival is led by HAH Whisky Company founder and managing director Leo Scott-Francis, Higginbottom’s great-great-grandson. Scott-Francis was also inspired by his grandfather, David Higginbottom, who wrote children’s science fiction books under the pen name Nicholas Fisk. ‘He was also a passionate lover of single malts who taught me about the whisky distilleries of Scotland,’ said Scott-Francis. ‘He himself was the grandson of HA Higginbottom – producer of the famous Higginbottom Club Blend. The HAH Whisky Company also includes private cask business The Whisky Market, which sells whisky casks for private buyers, buying some of them back from investors for bottling under The Higginbottom brand. The Whisky Market currently has more than 750 casks under management, including grain, single malt and Bourbon, from more than 40 distilleries in Scotland and the US. The Islay distillery has unveiled two expressions finished in brandy and Sherry casks. This week’s new whiskies include Arran 18, Laphroaig Lore, and two duty free Auchentoshans.